Goodbyes are inevitable. Whether you’ll be away for a short time or for the long haul, there are different precise ways to express your goodbye. 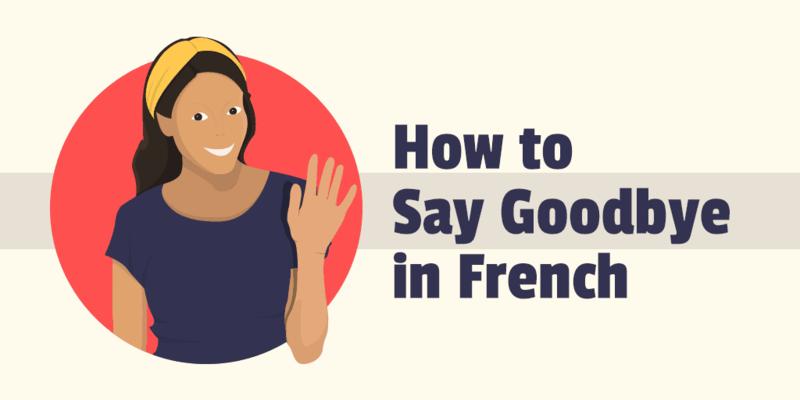 But how do you say goodbye in French? In this article, we’ll go through the different ways to do that. 3. À bientôt. See you soon. 4. À demain. See you tomorrow. 5. Bonne journée / Bon(ne) après-midi/ Bonne soirée. Have a good day / have a good afternoon/ have a good evening. 7. À la prochaine. See you next time. 8. À tout de suite. See you in a little while. 9. À tout à l’heure. See you later today. 10. À demain. See you tomorrow. 11. À plus tard. See you later. This is the classic French goodbye that you probably know already. You can use this in most situations, whether formal or casual. It means “till we see each other again”. When you’re in a French shop or cafe, always remember to say “bonjour” when you come in and “au revoir” when you leave. It’s the polite thing to do when in France! But if you’re looking for other---more interesting--ways to say goodbye, check out the rest of the list below! This goodbye is a bit grim. It literally means, “to God” and it sounds quite antiquated when you use it. Still, you can use this in cases when the goodbye is quite final or you’re sure you’re never going to see each other again. Like, seriously, such as when when one of you is in his or her deathbed (told you, it’s grim) or perhaps you’re breaking up and never want to see each other’s faces again. You can also say it jokingly to a buddy who’s facing something potentially horrible (like being called to a manager’s office or called for “The Talk” with the wife or girlfriend). If the above mentioned scenarios aren’t present, then steer clear of this type of goodbye. À bientôt can be used either formally or informally, when you know you’ll be seeing the other person again soon. Going to be separated for a few hours only? Say “À très bientôt”. See you very soon. If you’re planning to see the other person tomorrow, this is how to say goodbye. These French greetings could also be used as a formal way to say goodbye when you’re about to part ways with someone depending on the time of the day. Say bonne journée when you’re saying goodbye during the day, bonne après-midi in the afternoon, and bonne soirée in the evening. The greetings mentioned above are mostly used in formal settings. In a very polite society like France, be mindful of using formal goodbyes with people you are still in vous terms with (See also: When to Use Tu vs. Vous in France). Now when you’re with good friends, it’s a different story altogether. Here are some more ways to say goodbye in French. You already know that “salut” means hi. But here, let’s talk about how you can also use it to say bye. It’s very casual though, and is mostly used among very tight friends or teens. If you wanna say goodbye to someone but you’re not sure when when you’ll be seeing him or her again, say “À la prochaine”. This one is for when you’ll be seeing each other shortly. For example, you’re having lunch with someone but you need to step out quickly to buy something before you meet up again for coffee. Say “À tout de suite”. See you in a short while! If you’re sure you’ll be seeing someone later that day, let’s say, you’re planning to meet up for apéro, say “À tout à l’heure”. See you later today. Have plans to meet someone tomorrow? End your conversation today with “À demain !” See you tomorrow! Another way to say “see you later”, you’ll see this one often abbreviated by the French as A+ in text messages, emails, or chat. You can also simply say “à plus”, the shorter version of see you later. Confused why this one’s included in the list? Don’t be! Ciao, the Italian way to say hi and goodbye, is also used often in France and Quebec. So feel free to say it in informal conversations! There you have it, 12 different ways to say goodbye in French. Which one is your go-to French goodbye? Share it in the comments! 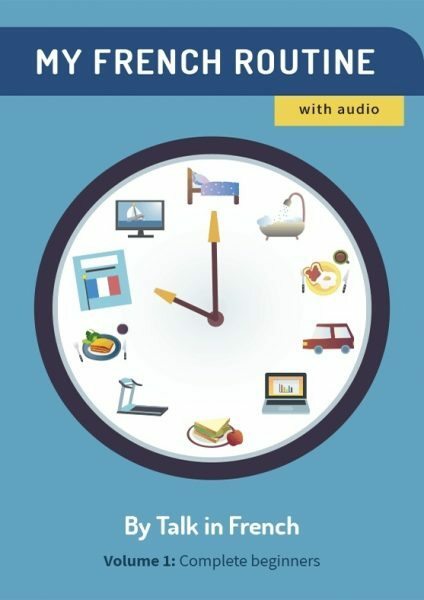 For a comprehensive list of French vocabulary, check out the French Vocabulary e-book below.